London, UK, 5 July 2018 – Cost growth returned to seafaring in 2018 and is projected to accelerate moderately on recovering vessel earnings and continued shortfall in officer numbers, according to the latest Manning Annual Review and Forecast report published by global shipping consultancy Drewry. Drewry estimates that aggregate manning costs rose by around 1% in 2018 with both ratings and officer pay rising by the same margin. This contrasted with 2017 when average costs rose by just 0.2%, dragged down by a 0.75% decline in overall officer wage rates (see graph). The return to wage growth has occurred despite the shortfall in officer numbers receding to more manageable levels. But the shortage is expected to continue for the foreseeable future despite projected stagnation in the vessel fleet, as longer leave and shorter tours of duty increase man-berth ratio requirements. Meanwhile, officer supply growth is projected to slow further. By contrast, ratings supply has always been in surplus and is anticipated to remain so. 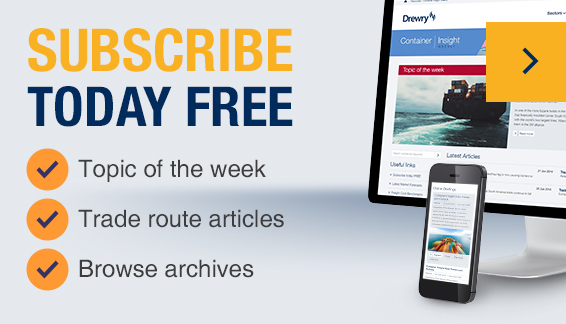 Looking ahead Drewry expects the pressure on vessel operators’ costs to continue to dampen wage inflation. The International Transport Workers’ Federation (ITF) are yet to agree new wage scales with employer organisations, to take effect from January 2019. But Drewry does not expect the award to lead to a notable rise in average salaries as many seafarers are already paid above these minimum levels. Drewry expects average manning costs will rise moderately over the next five years, with some acceleration anticipated towards the end of the forecast period as backup ratios rise to cope with longer leave periods. Stronger vessel earnings and competition for scarce officers certified to crew specialist ships will also be drivers of slightly higher wage growth in this period.